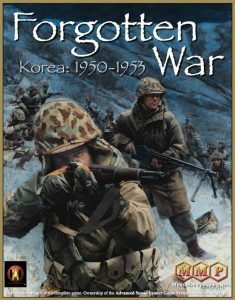 Luanne from MMP informed me that Korea will start shipping to retailers (that’s me) this coming week of the 5th of February. That means all of you extremely patient ASL’ers should hopefully be receiving them by the end of the week/beginning of next week. 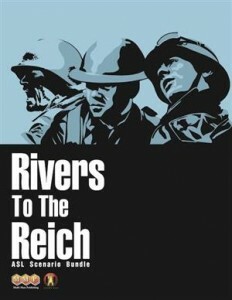 George at LCP has released an updated Wacht Am Rhein. 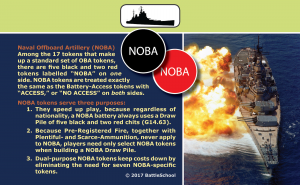 This version has counters too. Did someone say Deluxe? This year’s W.O. 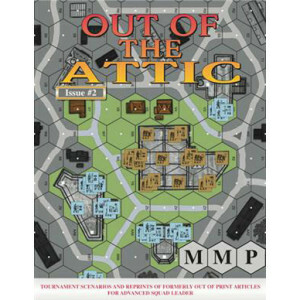 is all Deluxe, featuring 5 new scenarios and 4 new map boards designed in the exact style of the original modules Streets of Fire and Hedgerow Hell. Pricing disclosure: This pack is sold with all profits going to charity so the pricing structure is exactly at my cost including shipping, Paypal fees and packaging (MMP does not offer a wholesale discount to retailers on the W.O. packs) . 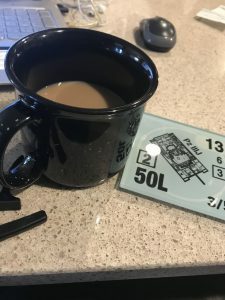 Lest we forget that the best part of this great hobby is the wonderful friends we make who share our passions with us. I am so sad to say that two among us have left this world in January and will be sorely missed. Goodbye to Seth Owen and Bartow Riggs. Our community is that much less without you. Give our regards to all the war heroes that you meet in the next life. On a happier note… My good friend Nader ElFarra, a pillar of the ASL community, surprised me with this awesome coaster in the mail today. Thank you for your generosity and friendship. 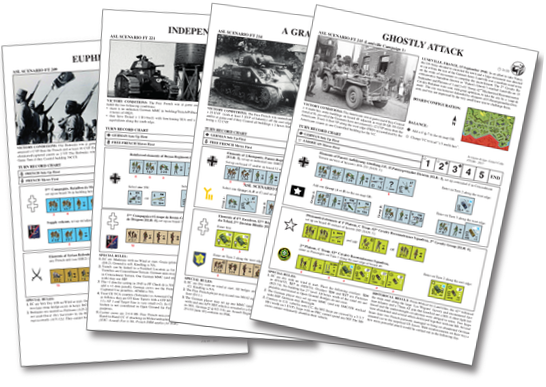 This 7 scenario pack comes with 140 counters representing the Herman Goering Panzer Division and the FSSF. All this for only $16 shipping included! Don’t forget to add the new St. 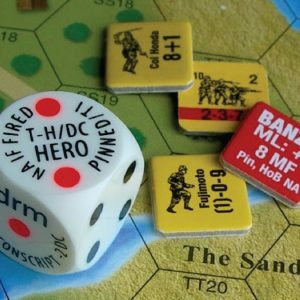 Lo campaign game from LCP with this order if you don’t already have it. 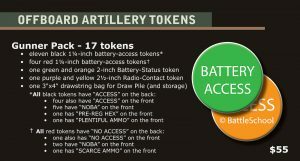 we are waiting on shipment of the brand new Friendly Fire. You can order it now to ensure that it ships out the day it arrives here (Hopefully next week). 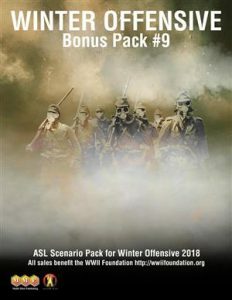 We are also running a special on the entire Friendly Fire Collection of 11 scenario packs. Northwest of Locquignol, France, May 20, 1940: The battle of France raged on. The 4. Panzer-Division was tasked to seize Aulnoye-Maroilles line and continue to secure the northwest edge of the Mormal forest. The division’s reconnaissance battalion passed through the forest near Locquignol without enemy interference. 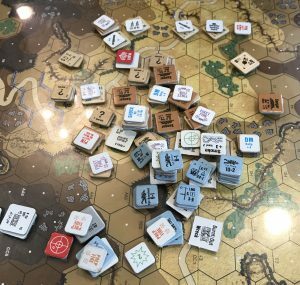 Two hours later, the reinforced Schützen-Regiment 12 followed in its tracks. By then the road was closed by competent hands of French colonial troops supported by Renault R35 tanks of the 39e bataillon de chars de combat. 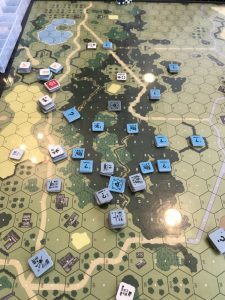 Ryschkowka, Belarus, July 13, 1941: On 12 July, Guderian’s Panzergruppe 2 had two bridgeheads across the Dnepr; one east of Kopys and Shklov and the Bykhov bridgehead south of Mogilev. Mogilev’s defenses had been under construction since late June, and were by now deep and extensive, with minefields, anti-tank ditches, trenches and log bunkers — all in an reminiscent of World War I. XXIV. Armeekorps was to attack out of the bridgehead to the north, and destroy the enemy southeast of Mogilev and open the Dnepr crossing, but its 4. Panzer-Division was quickly forced on the defensive. Also, remember to order the brand new From The Cellar 8 which should be arriving this month. 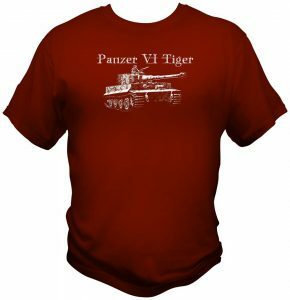 Order all 4 and get a free T-shirt (click on t-shirt and select your size (scroll down to the free t-shirts, the photo will not match but do not worry, you will get this uber cool red Tiger shirt)). Xavier and the gang from LFT have released the newest installment of From the Cellar. 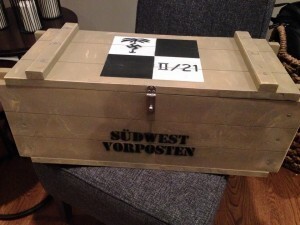 It is on the way to us and will ship to you the moment it arrives (hopefully the second week of November). Click on the image below to order your discounted copy with free shipping. 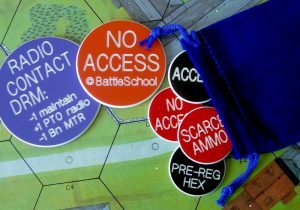 More than a scenario pack, this new product is something between our FTC packs and our regular LFT magazine. Its release is scheduled for mid November and it should start shipping as early as Nov 15th. 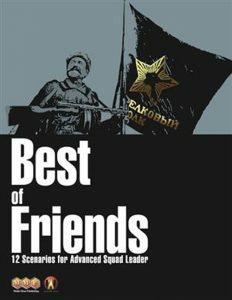 It will contain 56 pages and 15 scenarios. This product contains both a 56 pages magazine and 15 scenarios. 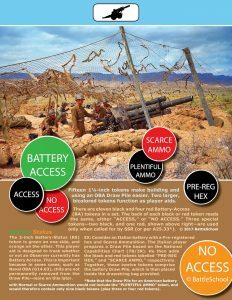 The magazine itself contains historical and technical articles on subjects you never dared (or even imagined ?) asking. 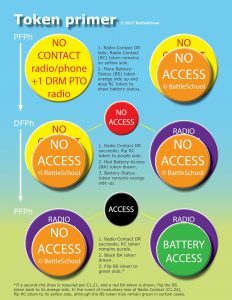 What will be a FTC without scenarios ? The 15 scenarios are the products of a variety of designers, from France (of course ! ), but also from Canada, Germany and even Corsica ! MAYADINE, SYRIA, 29 September 1941 : After the conquest of French Levant by the Allied, the garrison of the region was mostly done by Free French units. The Bataillon de Marche n°2, part of the 1ère Division Française Libre, was given garrison duty in the eastern part of Syria. On 29 september, a light supply column was attacked by a thousand (according to French sources) Bedouins at the village entry. The 5th company of the Bataillon de Marche n°2 in a defensive position in the military police building reacted swiftly to help their comrades. MOUNT SAN BASILIO, SICILY 5 August 1943 : A dramatic week of battles starting 31 July characterized the fierce inland fighting in Sicily during Operation Husky. The American Seventh Army’s First Division and two Canadian regiments fought off two dozens of counterattacks against mixed Axis Forces supported by artillery shelling enemy positions in the rocky hillsides. The battle focused mainly around the numerous hills and mountains surrounding Troina which the Germans had heavily fortified and used as bases for direct and indirect fire. 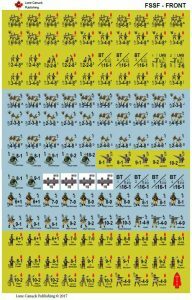 By 5 August, German infantry counter-attacked again, starting another round of furious fighting to dislodge Americans from the hills and save Troina for another day. HILL 470, NEAR COLLE BELVEDERE, ITALY, 26 January 1944 : The French 3 ème Division d’Infanterie Algérienne was tasked to attack the German forces near Cassino to divert German troops from the main thrust. 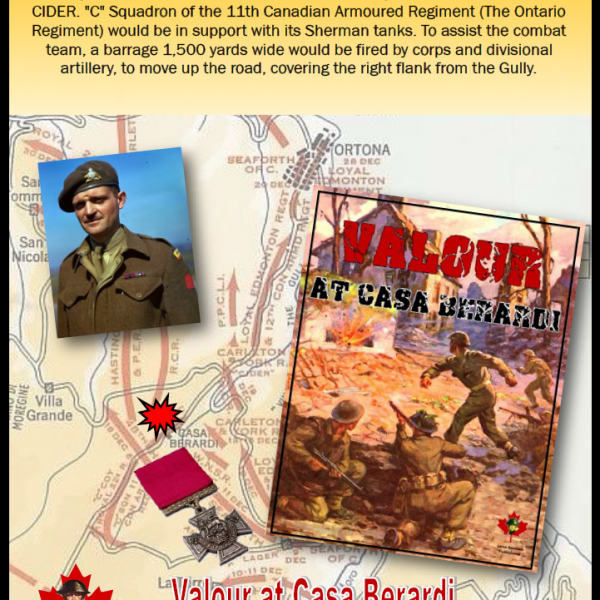 This diversion was to take place on bare and steep hills north of Cassino known as “Colle Belvedere”. The mission already very dangerous would have been transformed in a suicide attack if the flanking fires from hill 470 on the east side of the attack were not silenced. The 9ème Compagnie, 4ème Régiment de Tirailleurs Tunisiens, had to take this bare hill and hold it at all costs to allow the whole attack to succeed. AREA OF SEKOVICI, BOSNIA, 1 May 1944 : In 1943 Reichsführer-SS Heinrich Himmler gave orders to establish a new waffen-SS division, consisting of Muslim Bosniaks. 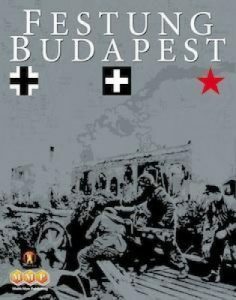 This new division should relieve Wehrmacht units in Yugoslavia for further deployment on the eastern front. The Division saw engagements in smaller anti-partisan operations and at the end of april 1944 the first larger operation took place, the goal of “Operation Maibaum” was the destruction of the III. Bosnian Partisan-Korps, consisting of three divisions which were located in the area of the river Drina. In course of “Operation Maibaum”, parts of the I.SS- Freiwillige-Gebirgs-Regiment 28 were trapped in the village of Sekovici. 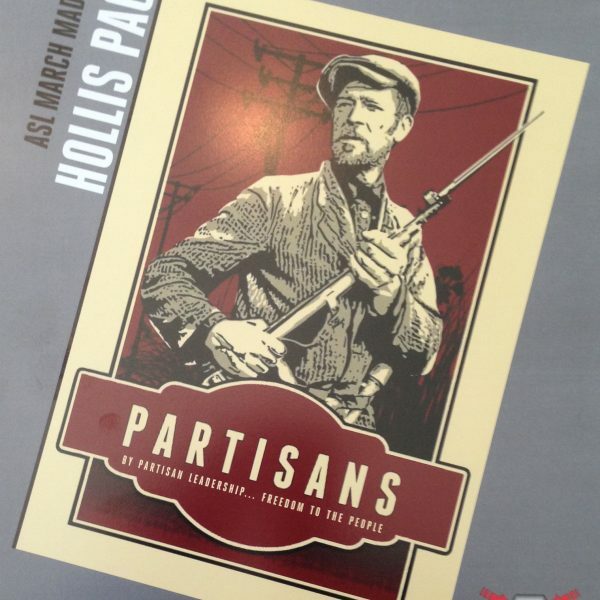 To save them from total annihilation, the II.Bataillon of the regiment attacked the partisans in the hillside around the village. LIRI VALLEY, ITALY, 17 May 1944 : During Operation Diadem, the 1st “Free French” Division was given the task to shield the right flank of the French Mountain Corps which was to lead the main attack into the difficult Aurunci Mountains. On 17th May, the French were progressing quickly along the Liri River valley thanks to the retreat of the German troops after the breakthrough around Monte Petrella. Around noon, the leading elements of the BM11 (March Battalion 11), abandoned by the accompanying tanks that were stopped sooner by mines, were stopped by MG fire coming from fortified houses on both sides of the road. LES SABLONS, FRANCE, 10 August 1944 : Just after the fights for Mézière-sous-Ballon started the Normandy campaign for the French 2ème Division Blindée. Within the US 15 th Army Corps, it was part of the southern part of the move to encircle the Germans in the Falaise cauldron. The 10 th of August 1944, the first elements of Groupe Minjonnet met a strong and well concealed German force from the just arrived 9.Panzer-Division in the woods and bocage near Les Sablons farm just before arriving in Mézière-sous-Ballon that will be the first French city liberated by the 2ème DB. LUNEVILLE, FRANCE, 15 September 1944 : In an effort to take Nancy, the US Army decided to encircled the town and a large movement was directed to cut it from the rest of the German Army. Lunéville was a medium sized town on the route of movement to complete the encirclement. The 2nd Cavalry Reconnaissance Squadron (known as “Patton’s Ghosts”) reached Lunéville on 15 September and Platoons n°1 and 2 of C Troop, 42nd Mechanized Reconnaissance Cavalry Battalion were sent, with great optimism, to take the city by a ‘coup de main’. LUNEVILLE, FRANCE, 16 September 1944 : After its first attempt to take by surprise the town failed, the 2nd Cavalry Reconnaissance Squadron tried again the next day but this time with the help from the CCR of the 4 th Armored Division attacking from the northwest. The town was held by the remnants of the 15.Panzergrenadier-Division, with only 3,500 men at this time. In fact, the 4th Armored Division alone outnumbered the whole 1st and 5th Panzer Armies in all departments ! LUNEVILLE, FRANCE, 18 September 1944 : Based on the reports of prisoners captured on 17 September, 2nd cavalry Group commander, Colonel Charles Reed, became convinced that the Germans were preparing to launch a major counterattack and requested tank destroyer assistance. His request was denied by the XII Corps. On the 18th, the 42nd Cavalry Reconnaissance forces screening the eastern approaches of Luneville announced the arrival of the Panzer-Brigade.111 looking to retake the city. The 42nd would have to buy time to allow the retreat of rest of the 2nd Cavalry Group and the intervention of US heavy tanks. LUNEVILLE, FRANCE, 18 September 1944 : Slowed by the sacrifice of the 42nd Cavalry Reconnaissance Squadron, 2nd Cavalry Group near Moncel, thePanzer-Brigade.111 reached Lunéville late in the morning of the 18 th . The town was already under attack from the remnants of the Panzergrenadier-Regiment.15 that had managed to retake part of the town on the 17th . Time was on the side of the Allies with tanks reinforcements coming in at maximum speed. 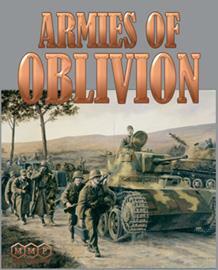 The final part of the first battle of Lunéville was about to begin with a major tank clash. NORTH OF CHMIELNIK, POLAND, 12 JANUARY 45 : Russian army had been bordering the Vistula on its length, holding three bridgeheads on the German side. On the 12th of January, Marshal Koniev unleashed his first Ukrainian front and cleared the German lines of defense. At mid-day, the first and second lines were breached and Koniev had seized his main axis of penetration. He immediately ordered the introduction of his tank units to exploit the gap in German lines. The Germans tried a desperate action and immediately counterattacked the lead Soviet units. JEBSHEIM, FRANCE, 26 January 1945 : As part of the Colmar pocket, one of the strongest part of the German line was located in the Alsatian village of Jebsheim. The night of the 26th, the 254th Infantry Regiment was ordered to take the village. That night was one of the coldest during that winter with temperature down to –20° C. The night attack had to be cancelled because the troops, which had to cross a frigid stream to reach the village, were freezing and the weapons refused to work. A new attack began at dawn. It will be a difficult day for the 254th and its supporting tanks. DIDONNE, FRANCE, 15 April 1945 : From summer 1944, the Royan area has become one of the fortified pockets of the Atlantic coast, locking the access to the Gironde River as well as to the harbour of Bordeaux. The codename for its conquest would be « operation Independence ». Several units took part in the Operation, such as the 2è Division Blindée, the 13è Régiment de Dragons equipped with French tanks of 1940 or the Bataillon de Marche n°2 manned with soldiers of current Centroafrica. Nevertheless, the defenders were determined to fight and their fortifications looked formidable. KÖNIGSBACH, GERMANY, 6 April 1945 : Created in 1943 in North Africa, the “5eme division blindée” landed in France in September 1944 and took part in the Vosges/Colmar salient campaigns and in the invasion of Southern Germany. 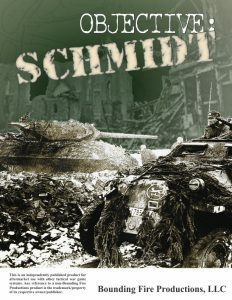 On the road to Stuttgart, late on April 5th, elements of the french Division took half of the German town of Konigsbach. Early in the morning of the following day, the Germans counterattacked with Volksgrenadiers, SS elements and a Panzer support of 15 Hetzers. The German attack supported by artillery directed from the steep hills dominating the town quickly overhelmed several French positions. 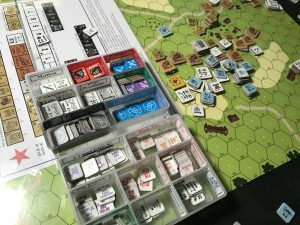 BOLLERSDORF, GERMANY, April 19 th 1945 : On the morning of April 19th , during the battle for the Seelow Heights with Berlin as the final objective, the Russians had placed their heaviest armor forward to conduct the expected breakthrough with the 12th Guards Tank Corps, as per their doctrine. 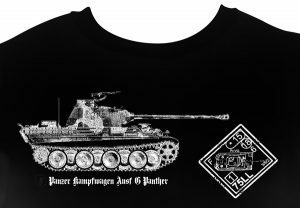 Their lead elements, advancing without any proper reconnaissance and infantry support, drove right into several Königstigers of the SS Pz. Abt. 503, that recently arrived from Nordland’s SS Pz. Abt. 11 Hermann von Salza. Forming up outside Bollersdorff were more than one hundred T-34/85 ready to roll through the gap the IS-2 would have opened up in the German lines. 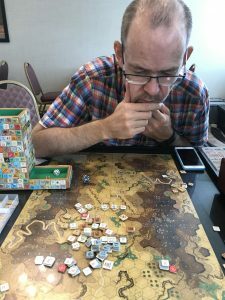 John Dober is planning on hosting an ASL tournament in Gettysburg, PA. sometime in the new year. Please look him up on Facebook if interested in attending. 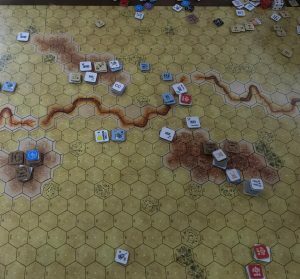 #65 Rat Charts – Battle for St. Lo. 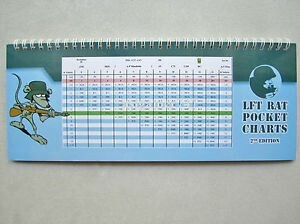 The OOP Rat Charts are on their way to us and will be sent to you with free shipping the day they arrive. The price is at the ever low $32 Shipping included. 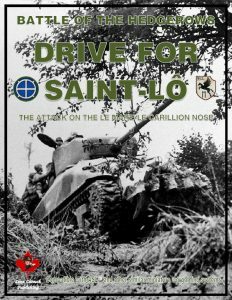 one Canuck Publishing just announced the release of Battle for the Hedgerows: The Drive for St. Lo. 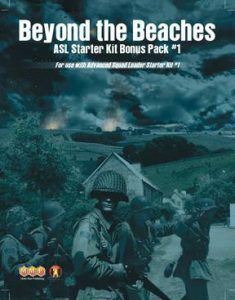 This is a complete campaign game map, CG rules, and 5 scenarios for a low price of just $27.00 There are few ASL comp products that offer as much value as LCP’s CG’s. (1 copy left, as far as I know, these are OOP from LFT). 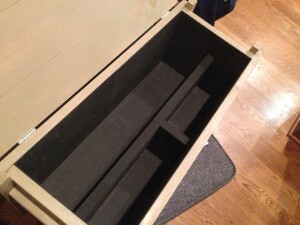 Box has some damage in shipment from Cambodia to us. First let me start by saying that I was expecting very little after seeing the trailer but then was expecting a lot after seeing the great reviews on Rotten Tomatoes. Boy was I disappointed. Although the footage of the Spits were quite beautiful, after watching the air to air combat scenes which felt more like a training video for a flight simulator game app for my iphone, I realized even I could have been a fighter ace if the German pilots were this stupid and without skill. The films character development was non-existent. I knew as much about the characters in the first five minutes as I did when I was (happily) exiting the theatre. One good thing was there was no love story. For that, they would have needed some dialogue. At one point, one of the soldiers threatened to shoot one of his one men for not talking enough (no joke). The beach scenes went from crowds of 10,000 soldiers to 5 soldiers and then back again. And then there was the ‘hero’ of Dunkirk. Singlehandedly, this young boy got on a boat, hit his head, died, and ,,, well that’s it. Next he is in his local paper as the hero of Dunkirk. WTF? am I missing something? I must have gone to get a refill on my $11 bag of popcorn when he beat back a great white shark attack with his Swiss Army knife. I saw a total of one colonial French soldier which may not seem like a lot until you realize that he alone could have defended against the two German soldiers that made a 4 second appearance at the very end of the movie. The director made it clear that 400,000 allied soldiers were running from 2 German soldiers with Mausers, 2 Heinkel 111’s, 5 Stukas, 4 Me-109’s, and a torpedo. *I am not a student of the arts, I am a mechanic, so please consider that I don’t really know what I am talking about. #64 Blood and Jungle, Crucible of Steel, RAACO, Starter Kit Bonus Pack #1 – ALL IN STOCK!!! 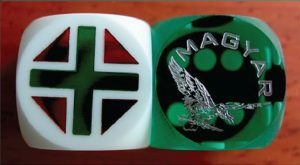 Bounding Fire Production’s Magnus Opus of the PTO featuring 47 scenarios, 4 countersheets, 3 maboards and so much more. 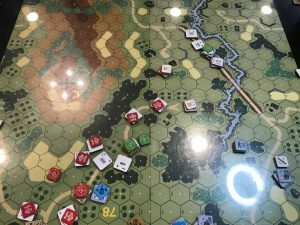 -32 Scenarios, 9 mapboards, 2 countersheets, Rules, players guide, and vehicle notes. We are happy to announce that our shipment from Denmark has finally arrived safe and sound. 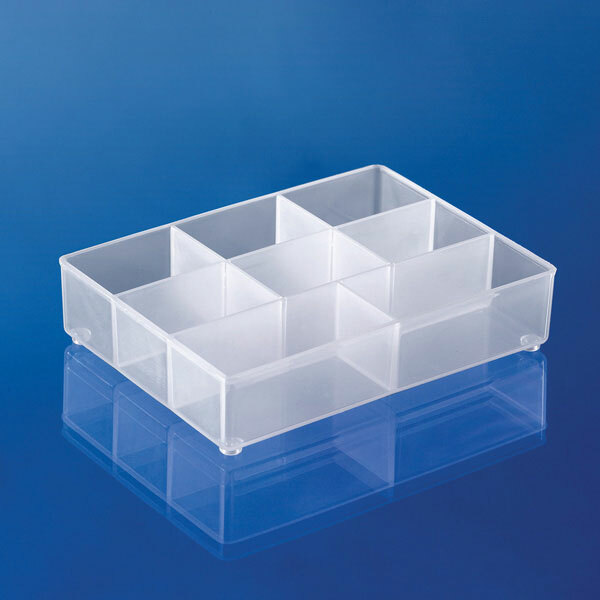 The premiere choice is counter storage is now available through our website. 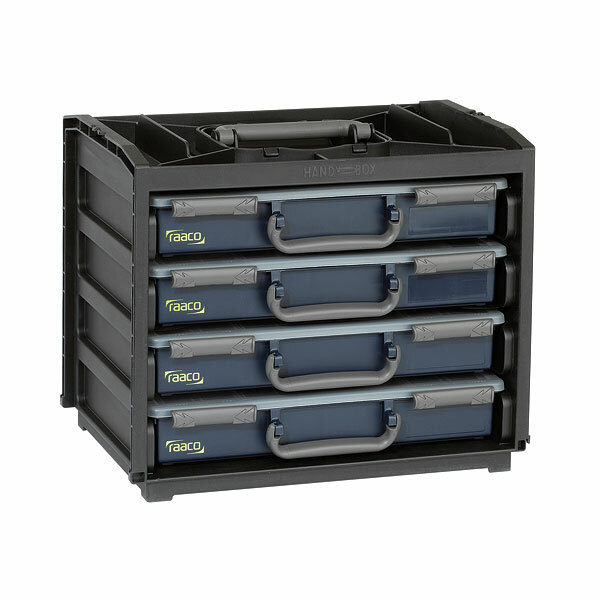 This allows you to have up to 512 separate locations per Handybox to store your counters. 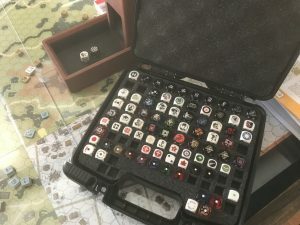 I have all of my official and TPP ASL counters easily stored in 4 Handyboxes. but I have my counters micro-sorted. 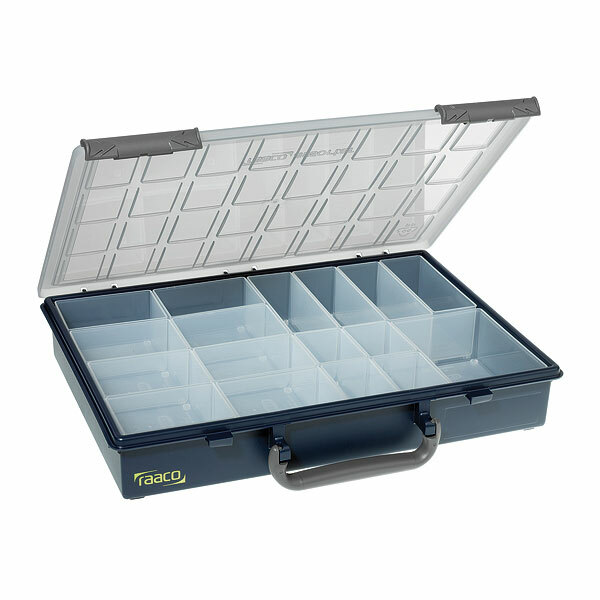 It is possible to fit your counters in 2 Handyboxes with ease. I used my Brother Label Maker to label all of the compartments so I can easily find the counter I am looking for. 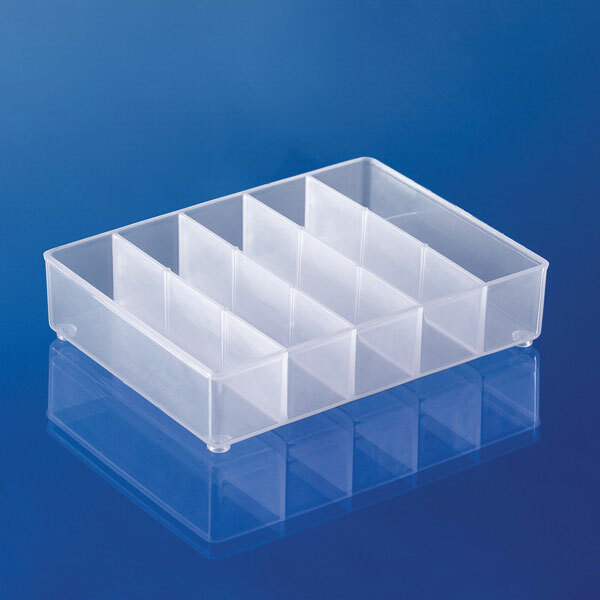 Because the trays come out on the Assorter box, I can lay the ones I need beside the game board without a lot of clutter or constantly pulling out a big Plano box to get the commonly used counters. 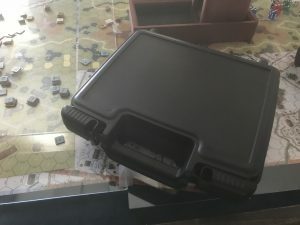 A small pack containing one board (P) and 4 scenarios. 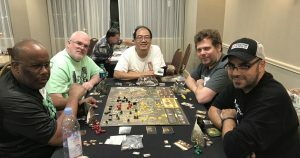 I just heard from Sam Tyson of Bounding Fire Productions and Crucible of Steel and Blood and Jungle should be shipping this week. Unfortunately, they will come off of the special pre-order price as soon as they arrive here as my pre-order quantity will be locked in. 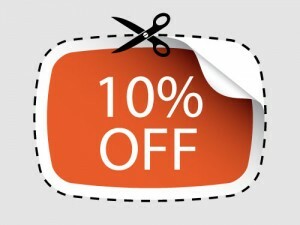 So this is your last chance to get big savings. 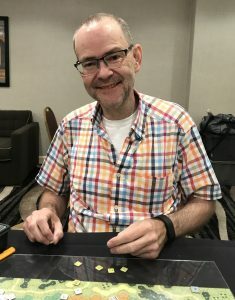 There was a mistake in communication and we have still not received the new scenario pack from our friends in Canada but George assures me that it is in transit and should be here any moment. My sincerest apologies to those of you that have already purchased it from me and are patiently waiting for it to arrive. 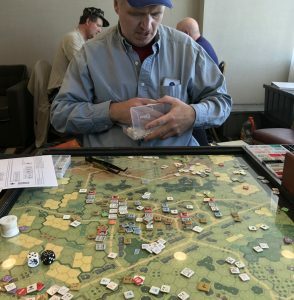 Often I have looked around the convention room and thought quietly to myself, these are possibly the most refined minds in the art of strategy and tactics on the planet. I wonder what would happen if these masters of cardboard were put to the test in the real world of combat. Barking orders and studying maps. 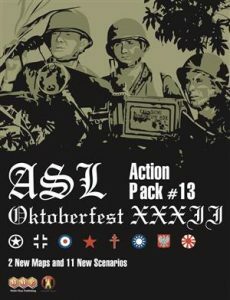 Well MM2017 pack has a what if scenario with it’s own map depicting an attack on an ASL convention center by elite SS squads. The defenders of the hotel consist of Partisans and a whole lot of dummies. I can’t wait to play this one. It would be neat to see a scenario with matching maps from all the major tournaments.